(by Thomas Sowell, Townhall) – …Advocates of minimum wage laws often give themselves credit for being more “compassionate” towards “the poor.” But they seldom bother to check what are the actual consequences of such laws. One of the simplest and most fundamental economic principles is that people tend to buy more when the price is lower and less when the price is higher. Yet advocates of minimum wage laws seem to think that the government can raise the price of labor without reducing the amount of labor that will be hired. When you turn from economic principles to hard facts, the case against minimum wage laws is even stronger. Countries with minimum wage laws almost invariably have higher rates of unemployment than countries without minimum wage laws. Most nations today have minimum wage laws, but they have not always had them. Unemployment rates have been very much lower in places and times when there were no minimum wage laws. Switzerland is one of the few modern nations without a minimum wage law. In 2003, “The Economist” magazine reported: “Switzerland’s unemployment neared a five-year high of 3.9 percent in February.” In February of this year, Switzerland’s unemployment rate was 3.1 percent. A recent issue of “The Economist” showed Switzerland’s unemployment rate as 2.1 percent. Most Americans today have never seen unemployment rates that low. 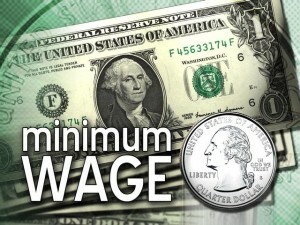 However, there was a time when there was no federal minimum wage law in the United States. The last time was during the Coolidge administration, when the annual unemployment rate got as low as 1.8 percent. When Hong Kong was a British colony, it had no minimum wage law. In 1991 its unemployment rate was under 2 percent. Most Americans living below the government-set poverty line have a washer and/or a dryer, as well as a computer. More than 80 percent have air conditioning. More than 80 percent also have both a landline and a cell phone. Nearly all have television and a refrigerator. Most Americans living below the official poverty line also own a motor vehicle and have more living space than the average European — not Europeans in poverty, the average European. There is nothing mysterious about the fact that most people start off in entry level jobs that pay much less than they will earn after they get some work experience. But, when minimum wage levels are set without regard to their initial productivity, young people are disproportionately unemployed — priced out of jobs. Minorities, like young people, can also be priced out of jobs. In the United States, the last year in which the black unemployment rate was lower than the white unemployment rate — 1930 — was also the last year when there was no federal minimum wage law. Inflation in the 1940s raised the pay of even unskilled workers above the minimum wage set in 1938. Economically, it was the same as if there were no minimum wage law by the late 1940s. Posted at Townhall.com on September 17, 2013. Reprinted here November 7, 2013 for educational purposes only. 1. The purpose of an editorial/commentary is to explain, persuade, warn, criticize, entertain, praise or answer. 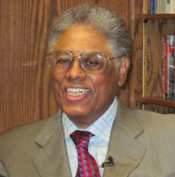 What do you think is the purpose of Dr. Sowell’s editorial? Explain your answer.